HQ Series front ShockWaves for 57-60 Cadillac. For use w/ stock lower arms. 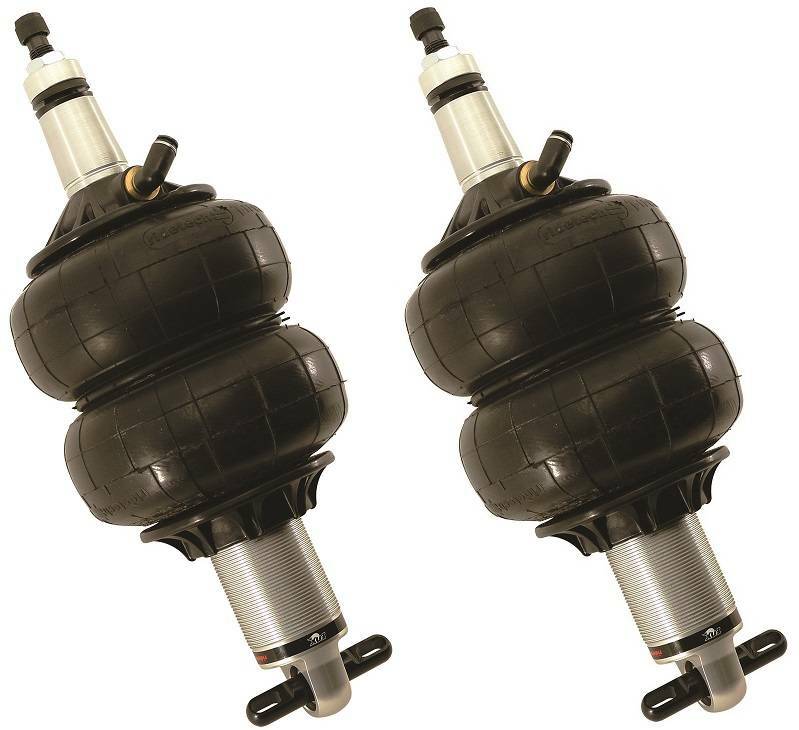 HQ Series ShockWaves® mount in your 1957-1960 Cadillac just like CoilOvers and deliver great ride quality, handling with adjustable air ride stance. RideTech's patented, integral "shock-within-a-spring" air spring and shock absorber assembly is a proven winner at shows and in motion. 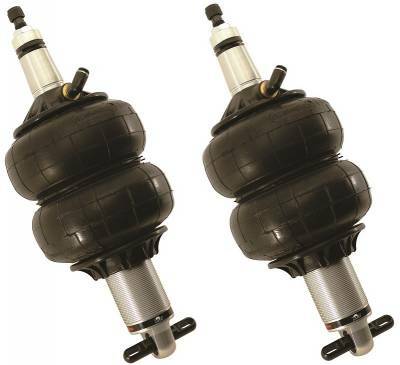 24-position rebound adjustment helps you fine tune the shocks to your driving preferences and vehicle demands. Advanced technology hides within the shocks. The monotube design features large 1.834" pistons, heavy duty 5/8" shafts, and impact-forged bodies. Since HQ Series ShockWaves® are built to perform and made to last, they are backed by RideTech's exclusive 1,000,001 mile warranty. Shock calibrations and air spring specs are based on more than 20 years of extensive air ride development on the street, highways and race tracks. It all adds up to predictable handling that is comparable to CoilOvers but with instant ride height adjustment. You get the best of both worlds. This kit includes two front rebound adjustable HQ Series ShockWaves®.